Wahlburgers is coming back for an eighth season next month, and the series will celebrate its 75th episode. New episodes will arrive on August 9. A&E released both a new video and a press statement revealing more about the new season. Check that out below. “A&E Network will premiere a brand-new season of the hit reality series Wahlburgers as it celebrates its 75th episode milestone. The new season will continue to chronicle the lives of Mark, Donnie and Paul Wahlberg, along with matriarch Alma as they juggle life, careers and their rapidly expanding burger empire. 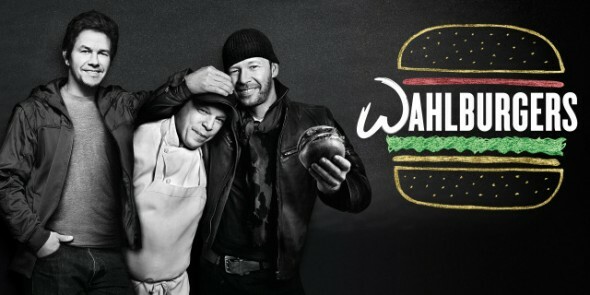 Wahlburgers premieres with a double helping of episodes on Wednesday, August 9 at 9:00PM ET/PT and 9:30PM ET/PT. This season, with Wahlburgers becoming one of the fastest growing restaurant chains in the world, Mark, Donnie and Paul kick things off with a whopping new deal to open 300 locations across the globe. Additional highlights include a visit from former N*Sync member Joey Fatone who seeks out Donnie for restaurant advice; Mark teams up with Hasbro to create a one-of-a-kind “Paul Wahl” action figure; Donnie taps tour mates Boyz II Men to taste test Jenny McCarthy’s new vodka line while Mark and his kids face off against NFL pro-bowler Travis Kelce in touch football. Penn & Teller make Mark’s Las Vegas Wahlburgers VIP party magical and Mark, Paul and Donnie team up to throw Alma a can’t-miss surprise birthday party she will never forget. Are you excited for the return of Wahlburgers? Tell us what you think. More about: A&E TV shows: canceled or renewed?, Wahlburgers, Wahlburgers: canceled or renewed? Breaking Boston: A&E Series Pulled, Cancelled?